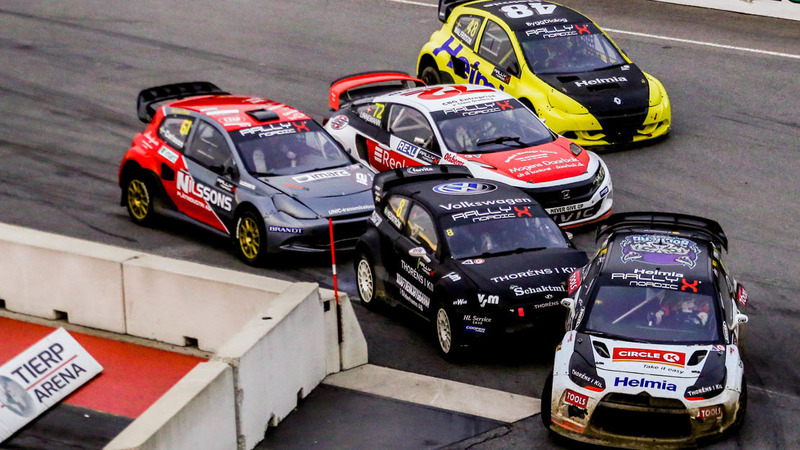 Championship leader Oliver Solberg was in fine form as he powered to the top time in Q1 for the RallyX Nordic presented by Cooper Tires title decider at the Tierp Arena. Starting in the final race of the day in Q1, Solberg avoided dramas through the tight turn two hairpin – scene of several first lap bumps over the course of the day – to pull away into a clear victory, setting a time that in turn placed him top of the timesheets overall. Oliver Eriksson, by contrast, lost out to Thomas Bryntesson through the hairpin at the start of heat one but was back in front once they had both completed their jokers, the Olsbergs MSE driver leading home the JC Raceteknik man in what would be second and third on the timesheets. Driving the Audi A1 for the first time in more than a year, Robin Larsson showed fine pace to win heat two and set the fourth fastest time overall, while Ulrik Linnemann quickly got to grips with his OMSE Honda Civic by clinching the fifth best time despite a slow getaway that left him last in his heat midway through lap one. Andreas Carlsson is sixth on the intermediate leaderboard overnight, ahead of Lukas Walfridson and leading Hedstroms Motorsport driver Crister Dalmans. 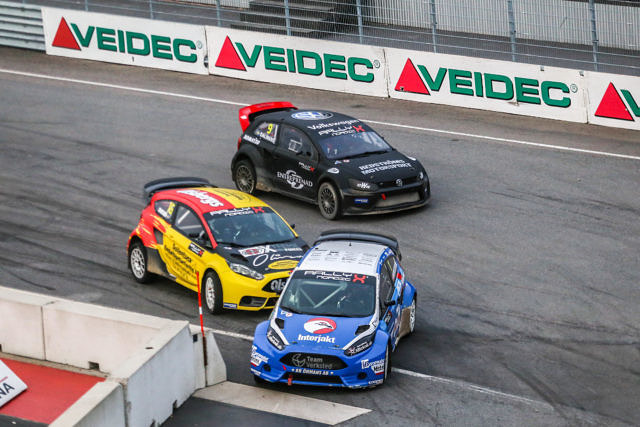 Elsewhere, Peter Hedstrom’s hopes of wrapping up the Swedish Rallycross Championship were dealt a blow when a collision forced him to retire, while Philip Gehrman struggled away from the lights and would also be classifies as a DNF once he was lapped. 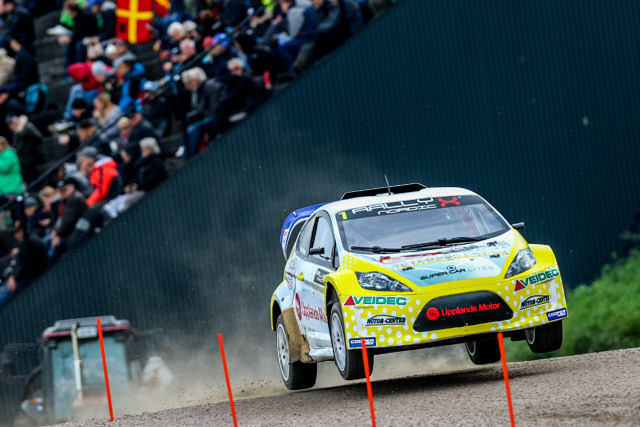 Kevin Eriksson marked his return to RallyX Nordic with victory in Supercar Lites, heading off the challenge from team-mate Guillaume De Ridder in the sister Olsbergs MSE entry, with SRT pairing Vasiliy Gryazin and his new team-mate Reinis Nitiss completing the top four. Polish racer Oskar Leitgeber topped the timesheets in the RX Academy, delighting his many fans who have made the trip out to Sweden, while Viktor Andersson claimed a top spot in the SRX class from Mattias Ohlsson and Isac Egonsson.